These wee babies are totally irresistible and super easy to make! They don’t last a second in my house! Grease the tin, then line it with a rectangular piece of grease proof paper that fits the base and sides of the tin. Measure all of the ingredients into a bowl and give it a good mix with a hand-held blender until evenly mixed. Spoon the mixture into the prepared tin. Ensure you scape out every last scrap of the bowl. Then spread it out nice and evenly in the tin. Bake for roughly 40-45 mins they will be nice and crusty on the top and if you insert a skewer, it will come out clean. If they are browning too quickly, you could cover with some foil for the last 10 mins of cooking. Cool in the tin, then cut into square of your desired size. Eat straight up as they are or, you could serve with some crème fraîche, strawberries and a dusting of icing sugar! If you are sick of the sight of Chilli Con Carne, this is something super tasty and a little bit different. I have made the rice and beef combination without the peppers too. My kids love it with tacos and tortillas! 4 Large Peppers whatever colour you fancy! (Red are a bit sweeter!) Cut in half and cored. Add mince to a hot pan and fry quickly to brown all over. If there is excess fat, I often like to drain it out for health reasons! Remove mince and set aside. Add a dash of oil to the pan and add the onion and chilli. Fry gently for around 7 mins. Return the mince to the pan add the oregano, chilli powder, cumin, hot paprika and cinnamon. Cook for a couple of minutes. Add the drained black beans, cooked rice and the tin of tomatoes. 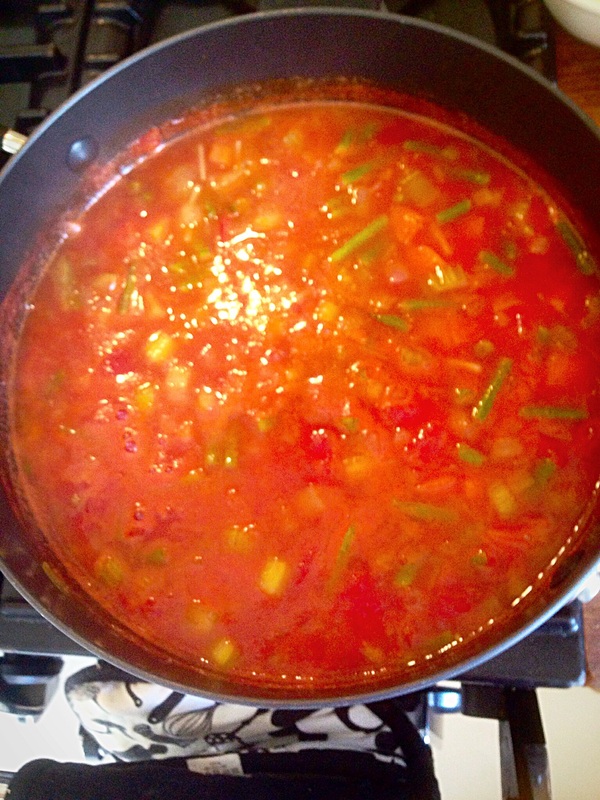 Add the stock bit by bit to make it nice and moist but not to the point that it will run out of the peppers! Cover and cook gently for 20 mins, remove kid and cook for another 10. Add a dash or two more stock if necessary. 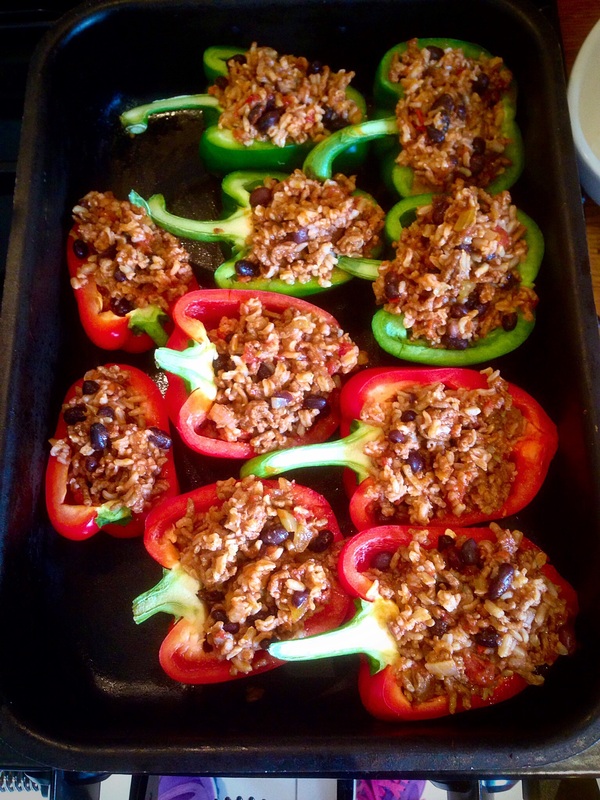 When done, stuff the peppers and place on a baking tray. Heat oven to 160c and cook for 20-25 mins or until cooked. You could do the rice and beef mix in a tortilla with guacamole and soured cream. What can I say…this is my food heaven! It is a bit hard to find in sunny Northern Ireland, so there was nothing else for it but to make it myself! It is so amazing even my kids love it! 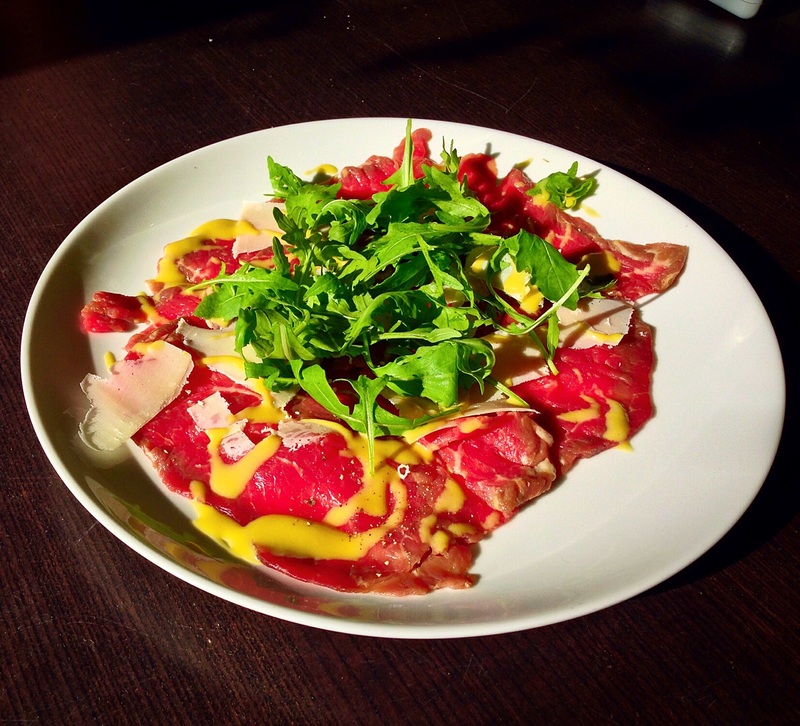 I think I will hide the next time I make it as I am not a fan of sharing my Carpaccio!! Use the best quality fillet steak you can find. Slice her up, throw the dressing on, pour a large glass of red wine and enjoy! Put the meat in the freezer for 30-40 mins to have it really cold. Take it out and trim off any pieces of fat. Cut into slices around the thickness of a pound coin. Place between two bits of cling film and flatten with a heavy pan or mallet. Arrange nicely on your plates. 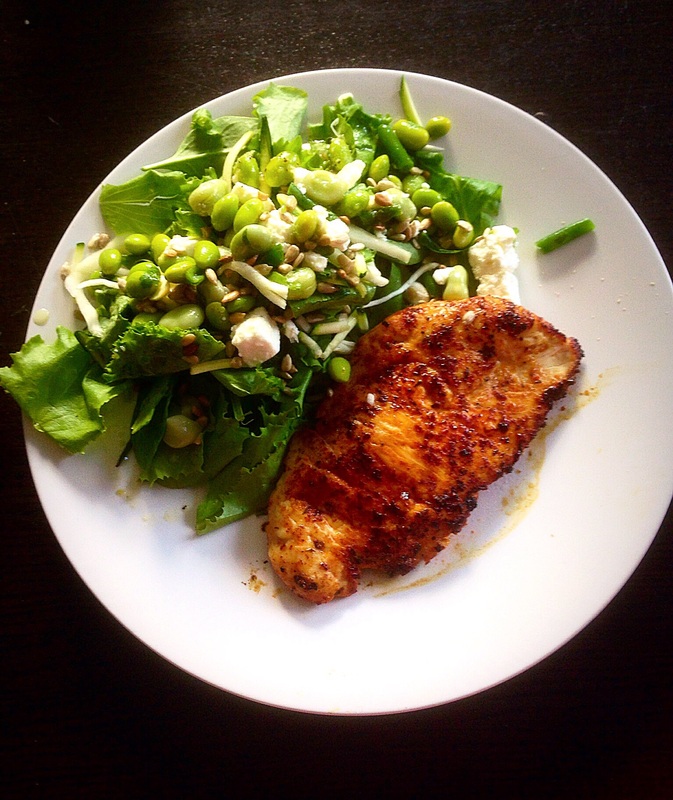 Season with cracked black pepper and Maldon Sea Salt. Put the egg yolks p, lemon juice and salt in a bowl and using a small whisk, mix it all together. Then, bit by bit whisk in roughly 75-100ml of olive oil to make a smooth emulsion. This can be made ahead, cover and keep in the fridge. When you are ready to eat, drizzle it over the beef, arranged as above. I love healthy eating and going to the gym. I don’t have a particularly sweet tooth, and when I get a sugar craving a couple of pieces of Green & Blacks keeps me happy! I am sceptical about alleged ‘healthy’ snacks…I would generally prefer one piece of my yummy Green & Blacks to several dodgy ‘healthy’ alternatives. These bad boys proved me and my entire family wrong…they were whipping them out of my fridge at every opportunity! With peanut butter and flax seed amongst the ingredients…its win, win, win!! With the exception of the coconut which you need at the end, put the rest of the ingredients in a large bowl and mix the rest of the ingredients together thoroughly. Make them into truffle sized balls or slightly larger if you fancy! 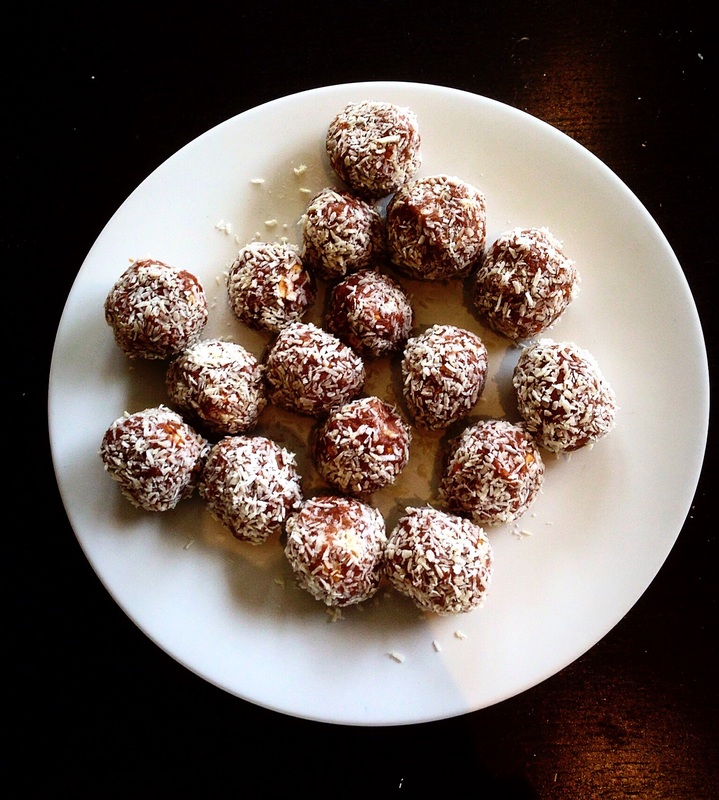 Take each of the balls and roll them in the coconut to cover. Place them in a container lined with baking paper. Try to keep to a single layer, if you need another layer, add another sheet of baking paper. Put in the freezer for two hours then transfer to the fridge. Enjoy, guilt free with a cuppa! 2 loose bottomed 20cm sandwich tins. Lightly grease the tins and line the bases with non stick baking parchment. 80g Walnuts Chopped and a few for decoration. Measure all the ingredients for the cake into a mixing bowl, beat until thoroughly blended. It should look nice and fluffy. You can use a wooden spoon for this but I would recommend an electric mixer. 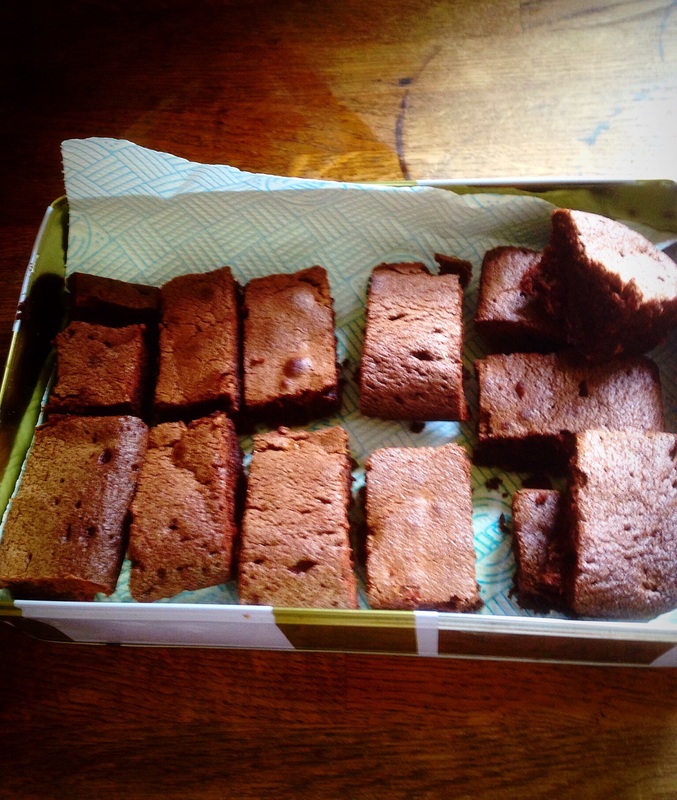 Divide the mixture between the prepared tins – ensure you level the surface. Bake for 30-35 mins. The sides should be coming away slightly and the top spring back when lightly pressed. Allow to cool for 5 mins, then run a knife around the edge to loosen and turn them out onto a wire rack. Peel off the paper and leave to cool. For the butter cream icing put the butter, icing sugar and dissolved coffee into a bowl and mix well until nice and creamy and evenly blended. Pick the best cake for the top. Spread the bottom layer with half the butter icing. Place the second cake on top and spread with the remaining butter cream icing. 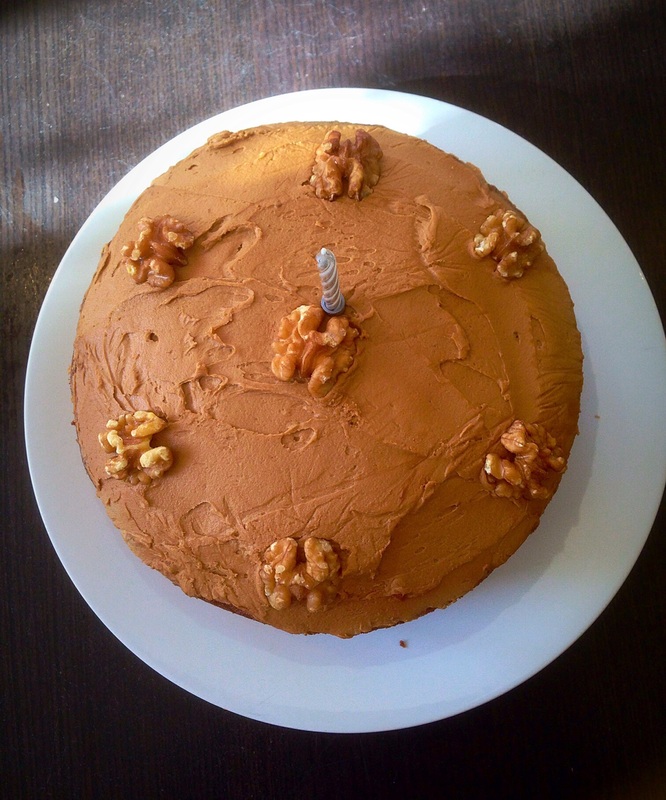 Ensure it is spread neatly and decorate the top with some walnuts. Perfect for afternoon tea or a cheeky treat!